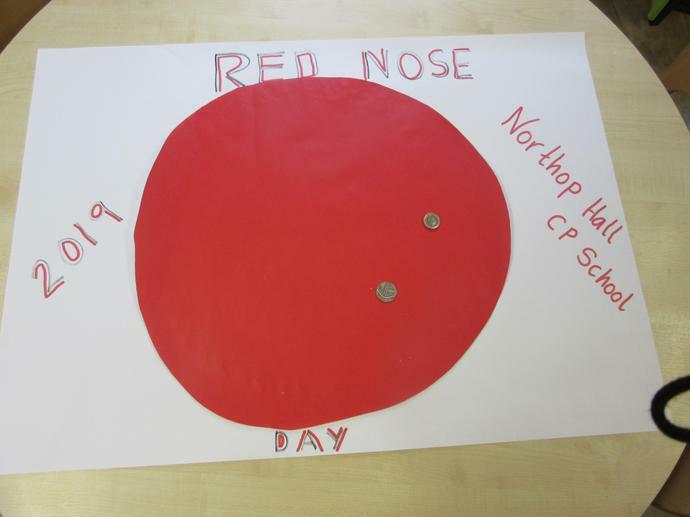 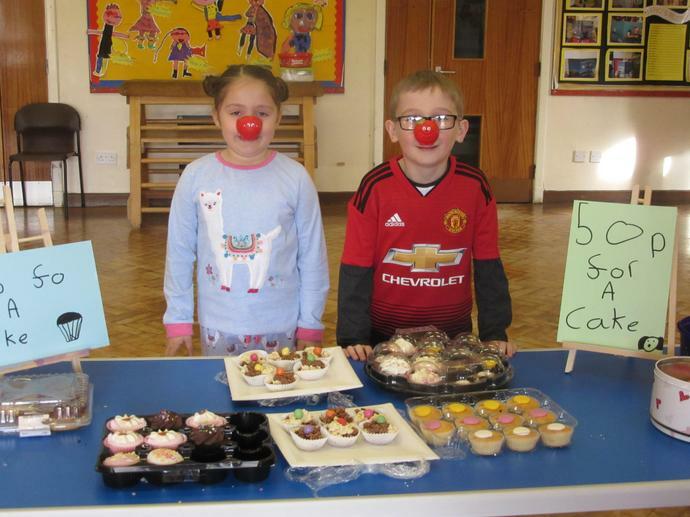 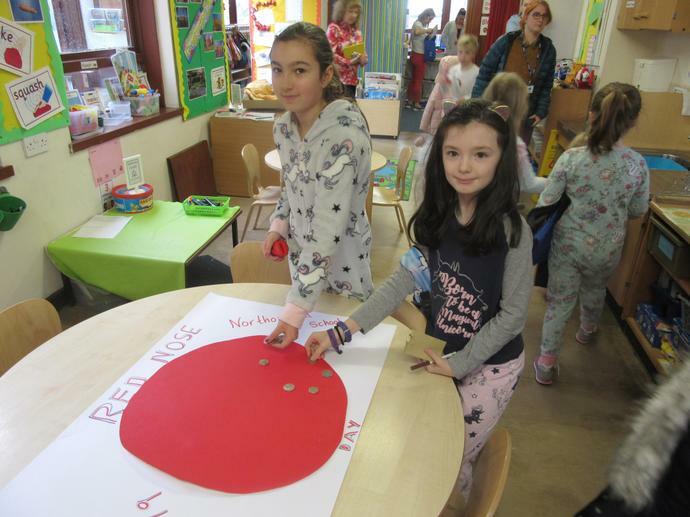 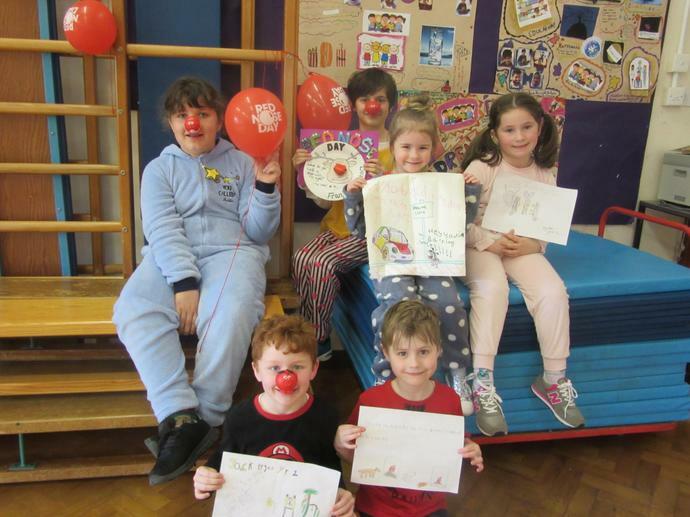 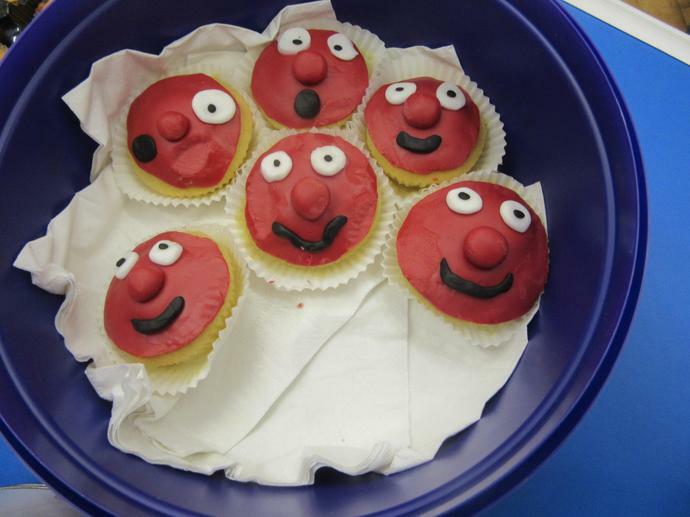 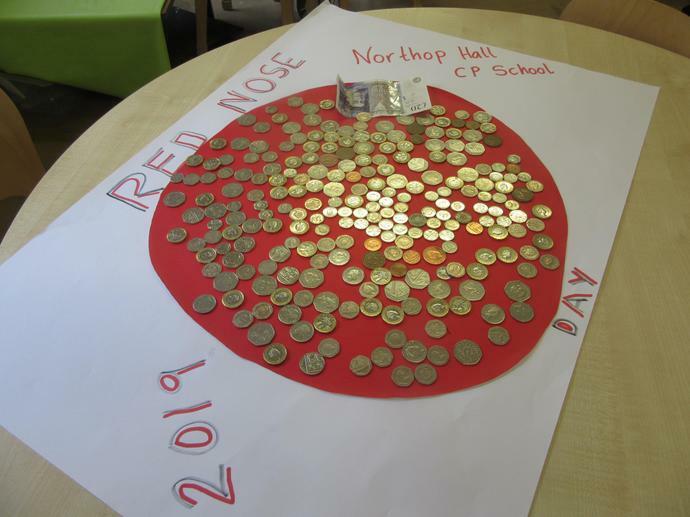 We have had a fantastic day linked to the Red Nose Day appeal. 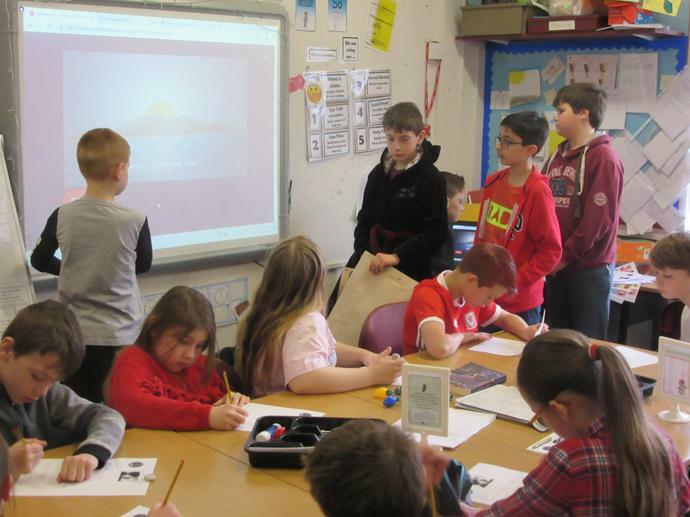 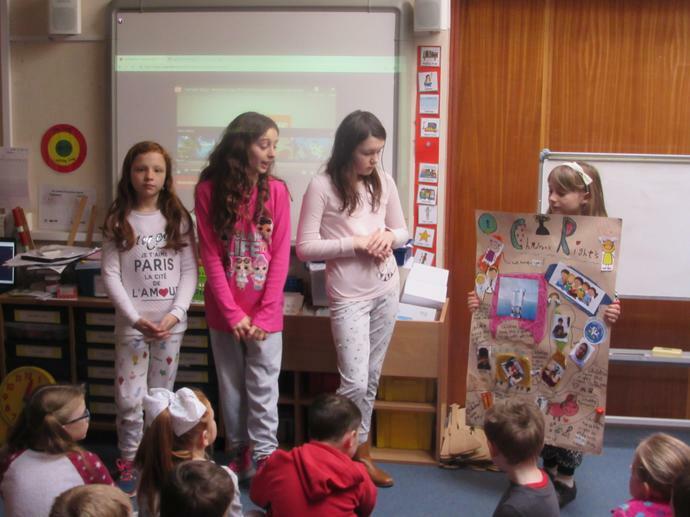 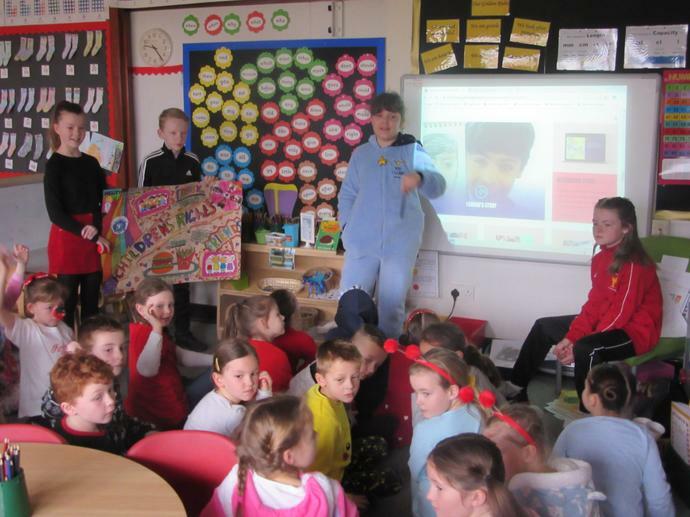 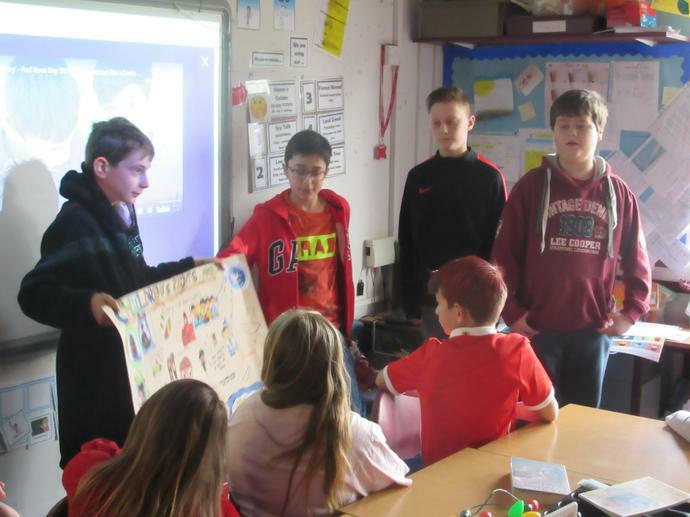 Year 6 pupils presented a video in each class to show how money raised can support children in difficult circumstances. 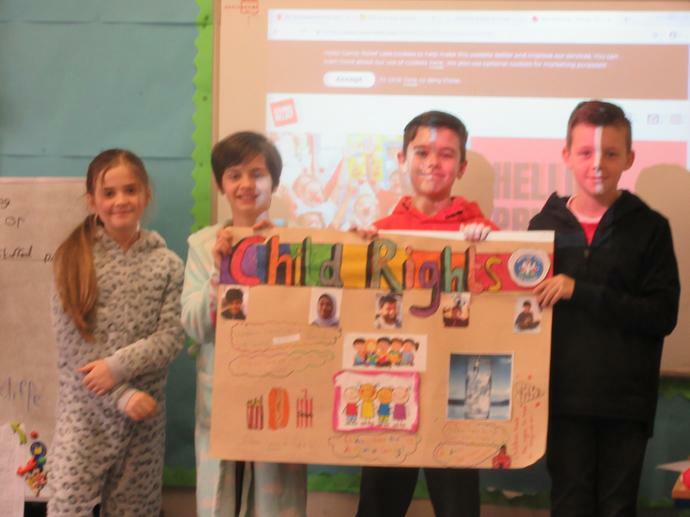 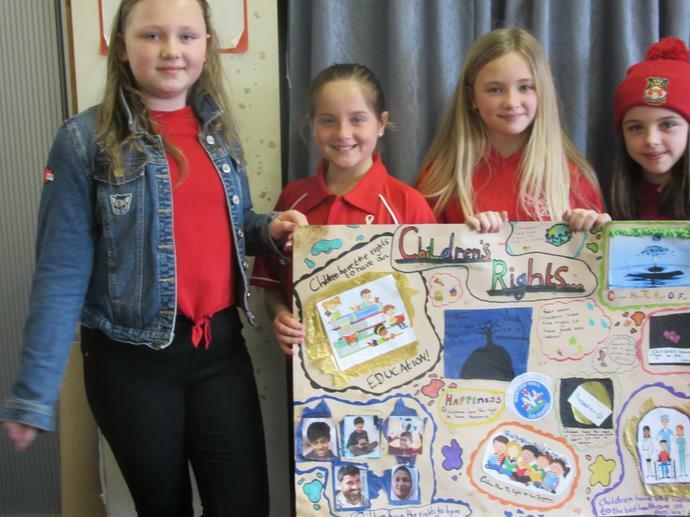 Year 6 pupils also shared posters with each class linked to the "Rights of the Child". 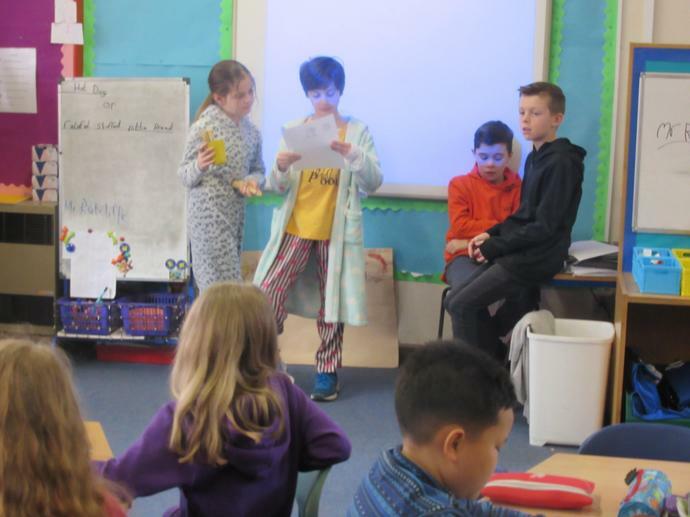 We loved hearing the jokes which pupils brought in, and the school council picked the jokes below to read out in assembly. 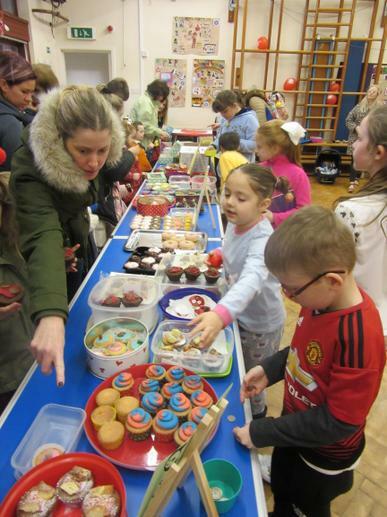 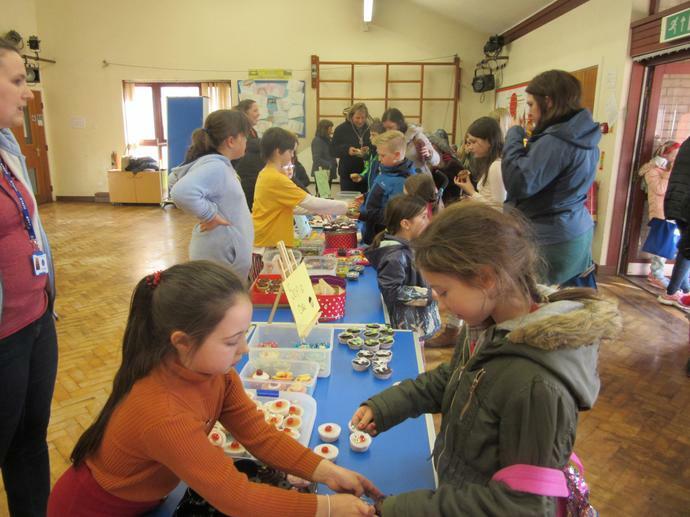 We raised over £100 through the cake sale alone and still need to add on the donations brought in this morning. 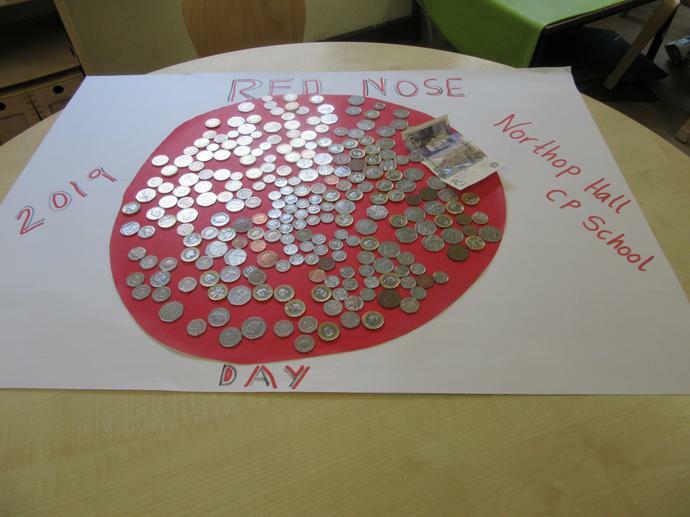 Grand total will be announced on Monday. 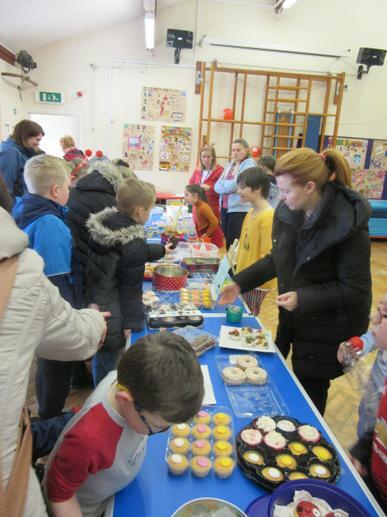 Thank you very much for all of your support for this event. 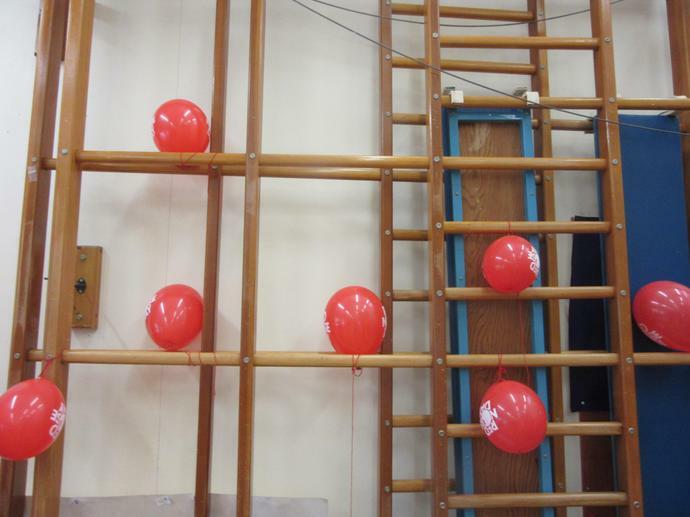 "When is it a good time to jump on a trampoline?" 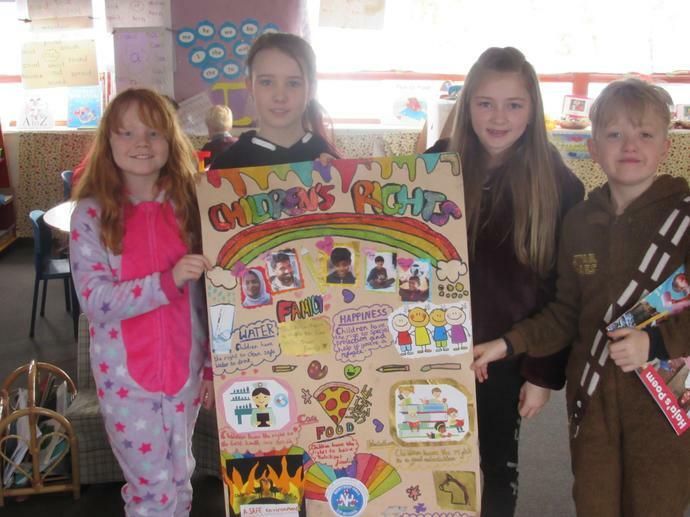 Why did the dog sit by the fire? 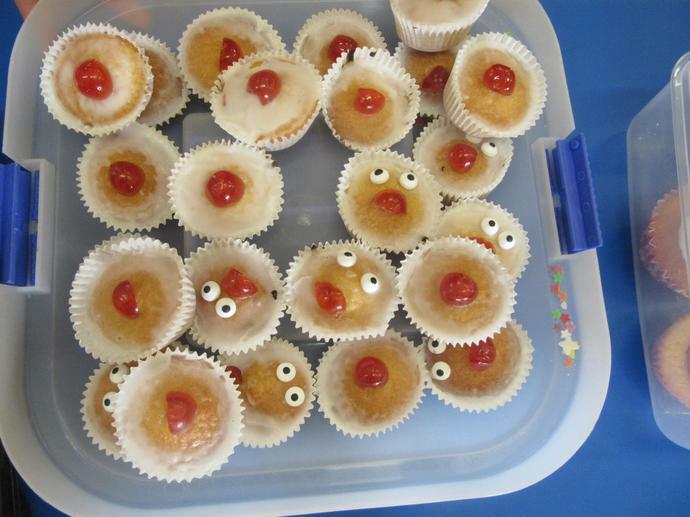 What did the dog say to the car?